I also got Lance primed up tonight, he is looking very handsome indeed. I’m pretty excited to start him this weekend. One other thing that is motivating me to hurry - we re-sculpted Pai! After painting Lucky, Buck, and looking at the rest of the models in our collection, we just decided Pai was not quite up to the level that we wanted by comparison. We decided to add some details that will make her more exciting in game and more interesting to paint. If I can get Lance done early enough I could maybe get our new Pai model painted in time for the big photo shoot. “Old” Pai, somewhat plain and her pose is not very evocative. New Pai. We changed her pose to be more aggressive and we added nice details to her computer. 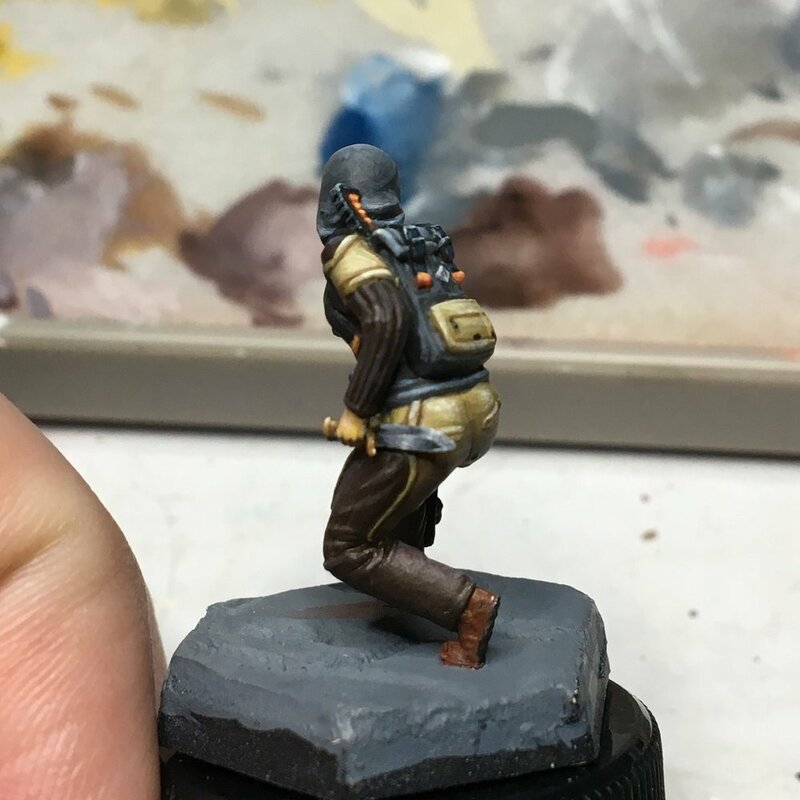 We also added her pistol and gave her jacket a little movement. What do you think of Seeker? Do you like the changes in Pai’s sculpt? Let us know what you think in the comments.